About The Blog: From One Tiny Mustard Seed…. I took that little seed home and planted it in a tiny 5ml medicine cup on the kitchen windowsill. It grew and grew, and several pot transfers later it is now a big flourishing in a heavy earthenware pot outdoors, reminding me daily, each time I look at it, that our Faithful God is always true to his promises! He lives, breathes and works through his people, every single day. It’s good to share what he’s doing, because we can encourage one another that way. And that’s The aim of Mustard Seed Blog – encouragement. I hope my blog posts never come across as ‘this is how you do it’ – as though I’d ‘arrived’ myself, because I definitely haven’t! Like you, I mess up, on a regular basis, but I’m a work in progress in the Potter’s loving hands. This is because Mustard Seed Blog highly advocates the use of Bible Gateway as a Bible study tool. 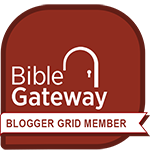 BibleGatway is so much more than just a Bile study app; Bible Gateway assists with deeper study; offerering more than 200 versions of the Bible, commentaries, original language tools, Bible dictionaries, daily devotionals, blogs and many other interactive resources, suited to beginners right through to ‘veterans’ in Bible study. Mustard Seed Blog features regular articles from ‘guest writers/bloggers’ too. All guest post writers have been invited by me and are people I know well, from my own home church, (Jordan Victory Church, Northern Ireland). For my website’s Copyright Policies please read the bottom of this page.